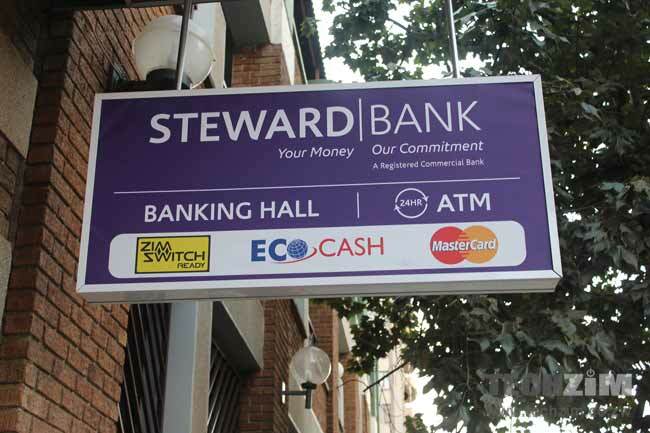 Steward Bank, the financial institution owned by telecoms giant Econet Wireless, has experienced changed fortunes over the past year. After starting off its formative years on a string of losses, it recorded its first profit in the last year, supported by a raft of changes and smart but tough decisions in response to the tough market and local banking sector. One of its strategies over the past year was the introduction of an Agent Banking network, which relied on select mobile money agents under the EcoCash banner to act as Steward Bank branches, providing services that Steward Bank account holders would ordinarily get in a brick and mortar store. This increased the bank’s presence and got them spots in areas where setting up a bank would have been expensive. However, the team at Steward Bank isn’t stopping there. Next week, they are set to launch a services partnership with Zimpost, the entity that runs the country’s postal network. Under this arrangement, Steward Bank services will be available from post offices around the country. The advantages for Steward Bank are clear. It automatically taps into an existing, well recognised and strategically placed network through Zimpost’s 200 plus post offices. At the same time, there are some benefits that Zimpost picks up from this. A diverse portfolio of services never hurt an institution especially one trying to become a lot more technologically compliant. Zimpost gets to aggregate these from Steward Bank and all its Econet kin. That’s not bad for a company that is still associated with registered mail and postal delivery. These are the type of people who should be running the Country… 15 hour daily Power Cuts if you are not on the same line as a Hospital or Other!!! is no longer a joke any more.. Uhhh I heard Kariba is now to blame?